Rank 11 (828795) in the Ettenmoors, with 3027 Killing Blows. Born to peasants was Black Fice Hawk, and he strove never to be under the heel of tyranny again. A Paladin of Gondor, Sir Black Fice Hawk led the Company of the Fallen Rose in vanquishing the evil of Castle Strayhold... Then taking it for themselves. Now a landed Knight, Lord Black Fice Hawk leads the denizens of Strayhold, ever-knowing that his strength is not in his sword; he finds it in his allies. Thus begins the tale of the Company of the Fallen Rose as we rise once more to destroy a foe and a threat, even among the fair inhabitants of Strayhold. The tale is not long, for we are quick and ruthless in search of discovery, however I fear only the worst shall come from our adventure; I fear we will unleash the Demon. We had emerged from the observatory the previous night, to the glad arms and help provided by the Captain of the Stair, Sirilosse. With a word from me she was off again, returning with two legions of Strayhold troops. They were to stay the night, guarding my companions, as we had no intention of leaving the tainted land of the Observatory, now knowing of the evil portent within. I had no intention of staying awake myself, instead posting a detachment guard of Grasshawks to watch over my own tent. It is much easier to rest with the knowledge that between you and any foe lay two battalions of war-tested veterans, sworn-loyal and proud of their newfound heritage born of Strayhold. I am sure that my companions rested well, as I could not hear them at all. 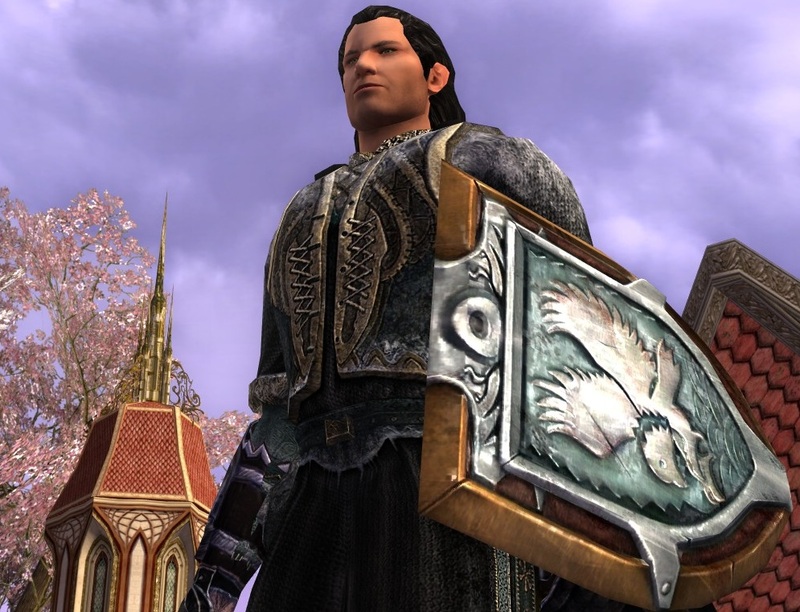 My mind, however, was locked in horror within Daerath's journal, as he recounted the terror that he and his arcanists were trying to unleash upon our world. From what I gleaned in that evil Tome, Daerath was using the observatory to determine the true nature of the Void, and whether its boundaries could be tested. Their evil sect was bent on utter destruction, and my mind shudders with the mere thought of... The First Enemy... The name Daerath so carelessly spreads I cannot bear to think, let alone cast into writ. Upon this writing my mind coursed, its true meaning wafting through my Horse Ring into my knowledge. I gained no rest that night. I would not let the others know though. They count on me to lead them. Thus we arrived upon the next morning. Sun shone brightly across the plateau, with a breeze carrying the scent of meaty breakfast into my tenting, unlookedfor. I rose, and as is my custom, I dressed alone. The choice to wear armor or dressings is always a solemn one, as choosing armor prepares my mind for tests unwanted, while my Elven garb brings me lighter moods and thicker humor. I felt each link of chainmail rustle, as each buckle snapped another weapon to my side. With Daerist pitched over my shoulder, I emerged. The others of the Company, even Hengia and the Elf Andure, were waiting for me, as the Grasshawk stew-cooks had prepared a meal for us, at Thurbrand's request. The others were eating ravenously, as a plate of stewed tomatoes, sausages, and creamed eggs was brought before me. With a word of thanks, it was taken away, for I could eat no food with the lingering thoughts of Death upon my mind. The others were faring better than I, so I felt stronger for their company. Then... My eyes met Zap's. In an instant I could see the same fear in his face. A quick consult brought home the terrible truth: my recurring nightmare had visited him, and prevented his sleep. He had also read through the night, the journal of Ryykkar the Seer, bringing one more revelation: it was Kari who wanted to release the First Enemy. And, apparently, she had discovered How. Rest would not come so easily for me as it had the others until the menace and threat were destroyed. Rising from my seat, the Grasshawks barked to attention. I gave them their standing guard orders. The rest of my friends rose from their seats. The Company of the Fallen Rose, young and old, new and venerated, walked toward the observatory. We exchanged glances: Thurbrand with his axe, mocking my broad slashing swings; Sheherazade poking her dagger between my shoulder blades when I was not watching her carefully enough; Andure leading the way as only a Ranger could; Hippo warning us to caution with every glance; Zap, his eyes cast downward, showing no sign, nor exposing any weakness; even Hengia walked taller than I remembered her from the day before. As we approached the Observatory, I knew two things with surety: we were going to face Death. We would face it together.